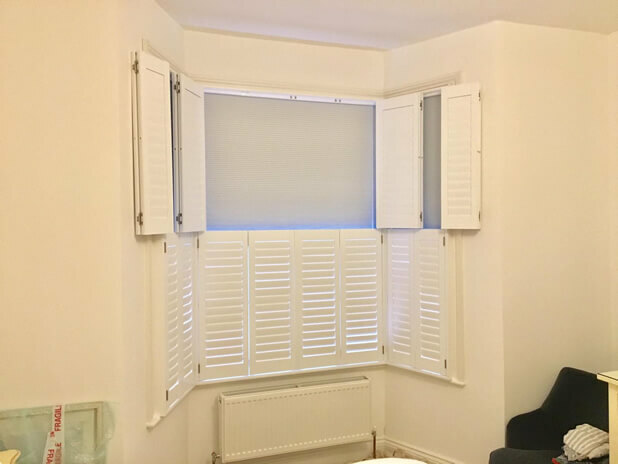 Tom was in West Malling in Kent to install these tier on tier shutters featuring integrated blinds for a client. Luke had been to the property earlier to take exacting measurements, so that our design would work perfectly for the customers traditional wooden sash windows. 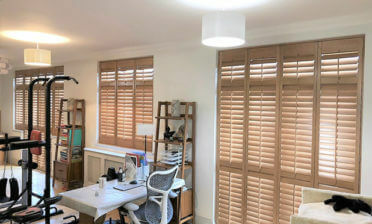 The client opted for our most versatile tier on tier shutters which would wrap around the whole bay window recesses, allowing for the great light adjustment and also privacy from the street outside where there is regular traffic of cars and people passing by. The shutters were fitted to traditional sash windows in the main bedroom. Due to the area the customer opted for our integrated blinds for blackout when pulled down. 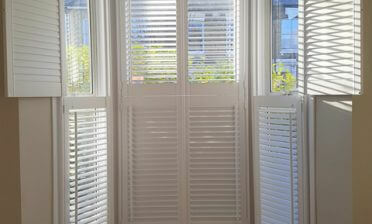 They sit neatly in the shutters and can be pulled down, adjusted or lifted right out of sight. 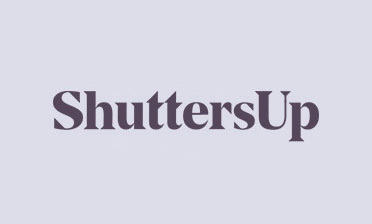 On top of this the tier on tier shutters are highly versatile and can be adjusted in a multitude of different ways depending on the lighting and privacy needed. The ultimate combination! 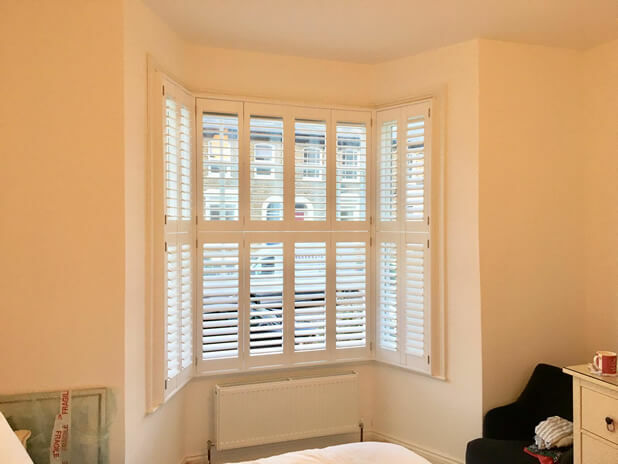 The panels feature 76mm louvres with hidden tilt rod system, bringing some modernisation to the traditional style windows and finished in a lovely silk white paint with brushed nickel hinges.